A dear coworker of mine moved on to bigger and better things last week, and it was so sad to see her go! Naturally, I had to make her a going away card for all of us to sign. 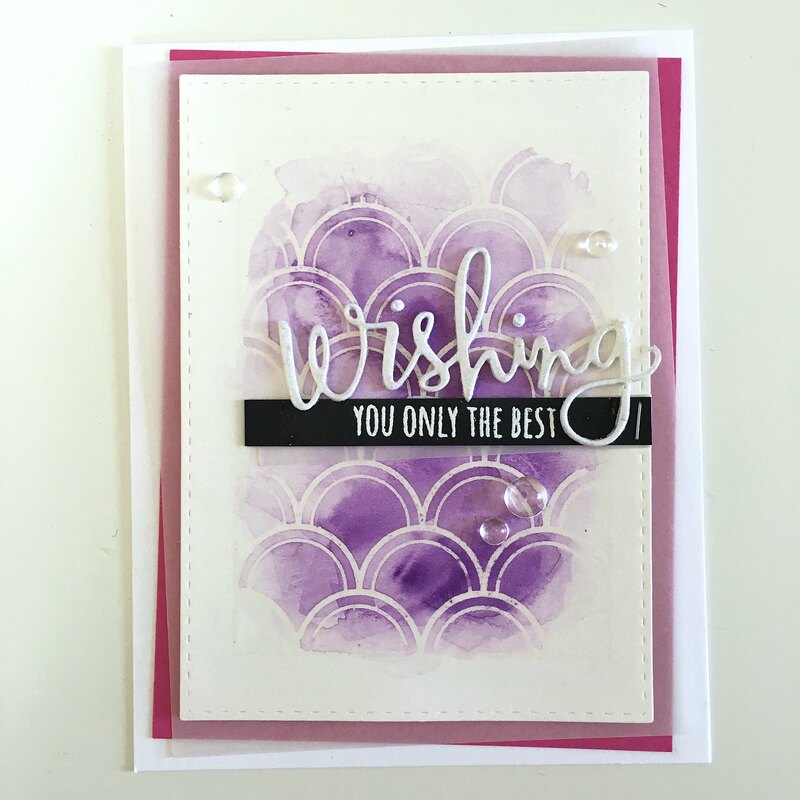 I started by stamping the Winnie & Walter Mini Scenery: Madison stamp on a watercolor panel and heat embossing it with clear embossing powder. Then I did a purple watercolor wash over the top. 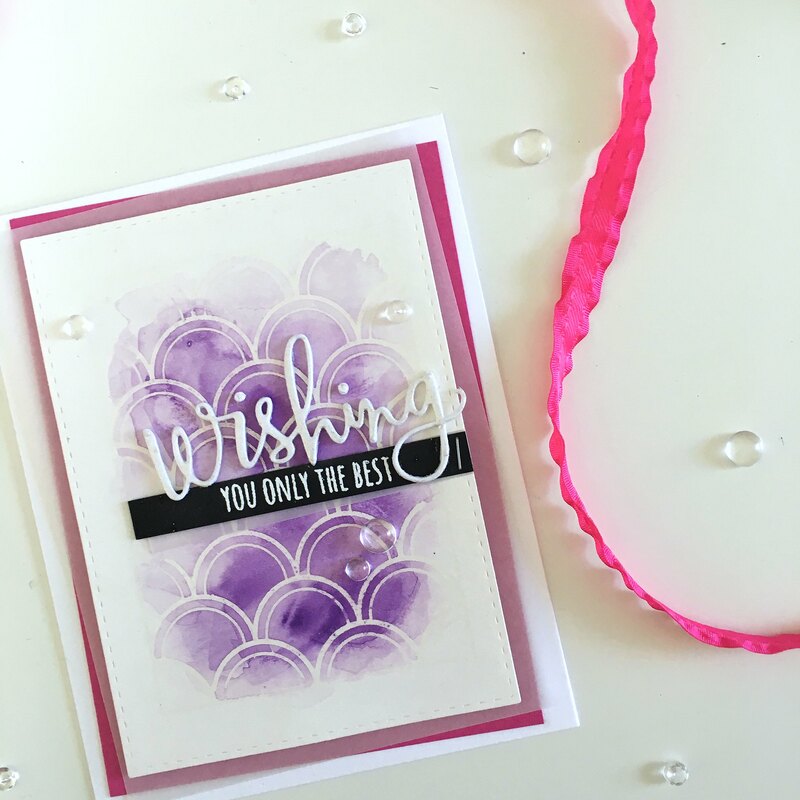 I love how embossing powder resists watercolor. I’ve been creating tons of these panels lately. 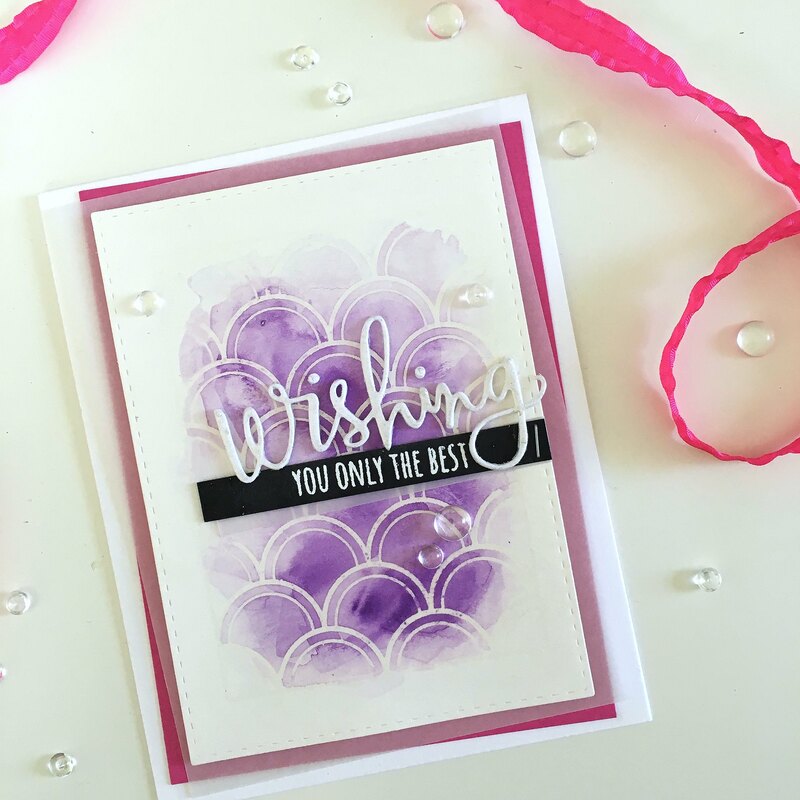 I used the Wishing die from SSS for part of the sentiment – cutting it out from 80lb Neenah solar white card stock and also from some fun foam. 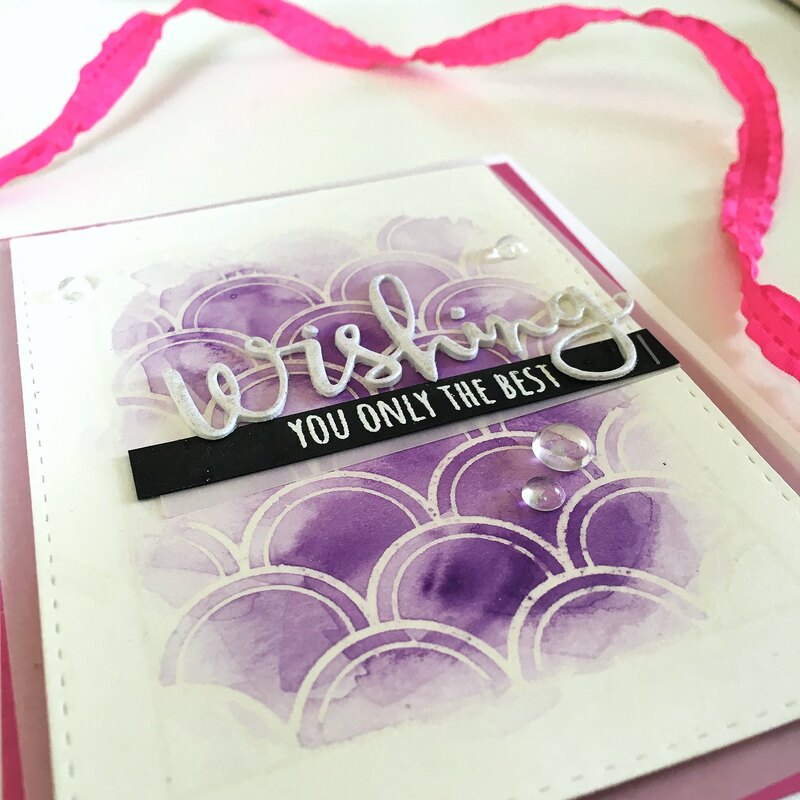 I glued the cardstock die cut on top of the fun foam to give that part of the sentiment some dimension. 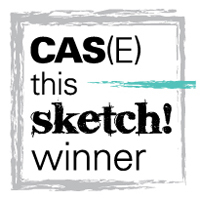 The rest of the sentiment I stamped (with the Sending and Wishing stamp set) on a strip of black cardstock and heat embossed in white. I used a tiny attacher to staple it onto my card front after slipping some vellum underneath. I love those teeny-tiny staples! I mounted my panel on top of a piece of vellum and a piece of doll pink cardstock cut slightly bigger than the panel and offset just a bit. I finished everything off with my favorite clear droplets! 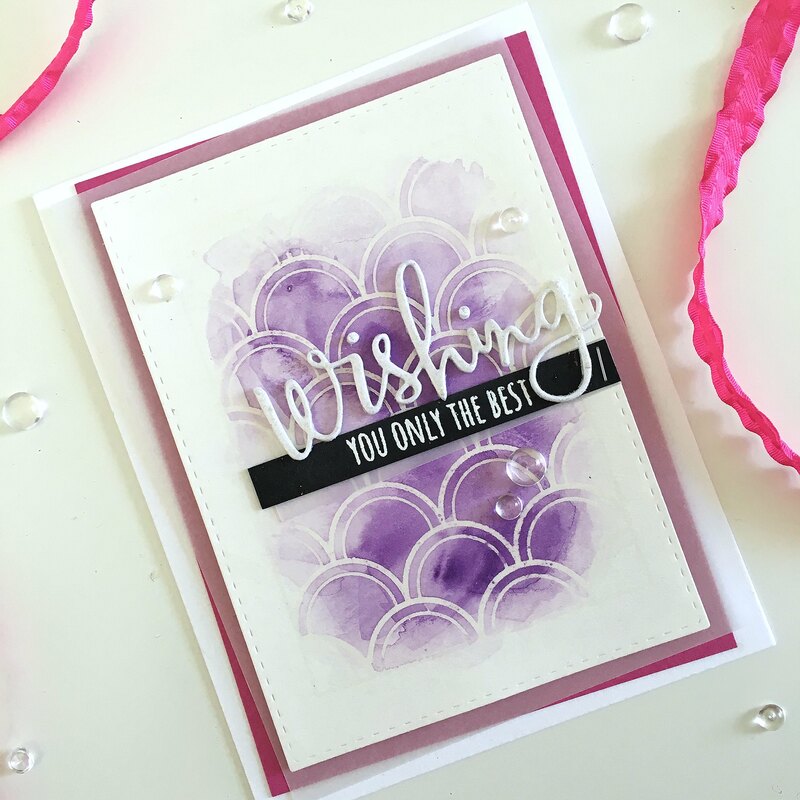 Your card is stunning and thanks for the tip about using fun foam for dimension… I think I might have to try that soon!